I drank plenty of Sangria in my younger years, one reason was having lively Spanish neighbors. 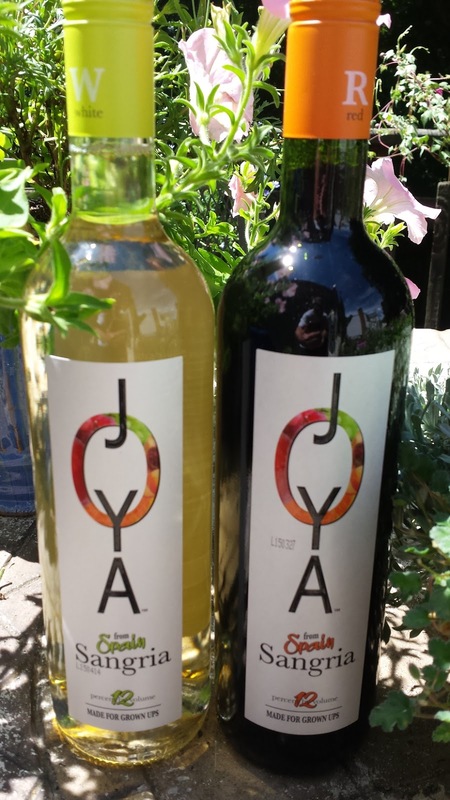 Thus I was very keen on revisiting the style when contacted by Joya Sangria and sent samples of their white and red Spanish Sangria. Both wines are made from 100% Spanish grape varieties from the Castilla-La Mancha region, weigh in at 13% ABV and retail for $12.99. The Joya White Sangria is comprised of 100% Airén grapes, the most widely planted grape in Spain. This sangria starts with a tropical nose followed by serious tropical fruit flavors (passion & guava fruit) and finishes with plenty of acids. Not as sweet as expected and quite tasty both straight and mixed with ice and fruit. The Joya Red Sangria is made from Tempranillo, Garnacha, and Bobal grapes, with Tempranillo and Bobal the second and third most planted variety in Spain. This wine starts with a similar tropical nose, but that's where the similarity with the white ends as it gives way to a more tannic and sweeter wine. There's also a tad of artificial flavors that come through - not sure if that is real or my imagination. Of the two, I definitely prefer the white - summer is not over yet. Cheers.